I have now finished my BQ Cacti quilt to the flimsy stage. I went with a border from the same fabric as the background. 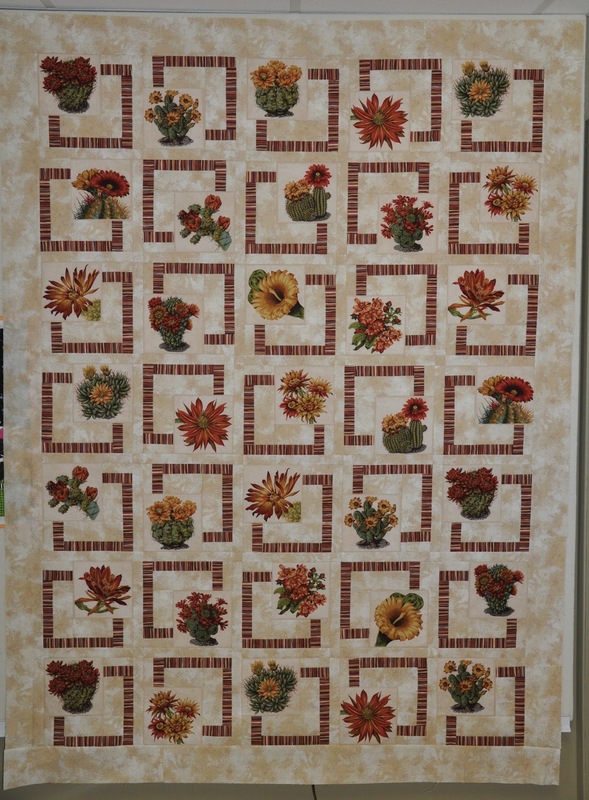 Once quilted, I will be binding with the stripe. I love this pattern and I can see myself making more of these quilts in the future. 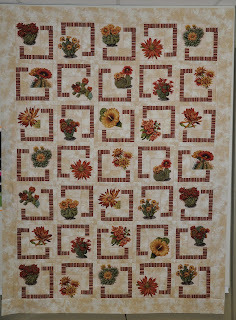 This entry was posted in BQ quilt, cactus, flimsy by Norma Hanson. Bookmark the permalink. Love it! I understand how you could want to do another. Oh I love it too! Very eye catching! When did you post all these notes, LOL? I love how this one turned out, Norma. That stripe will be perfect on the edge and still frame the cacti in an eye catching way.